Holiday Fairy Tale Tower Backgrounds. Make some festive holiday images. 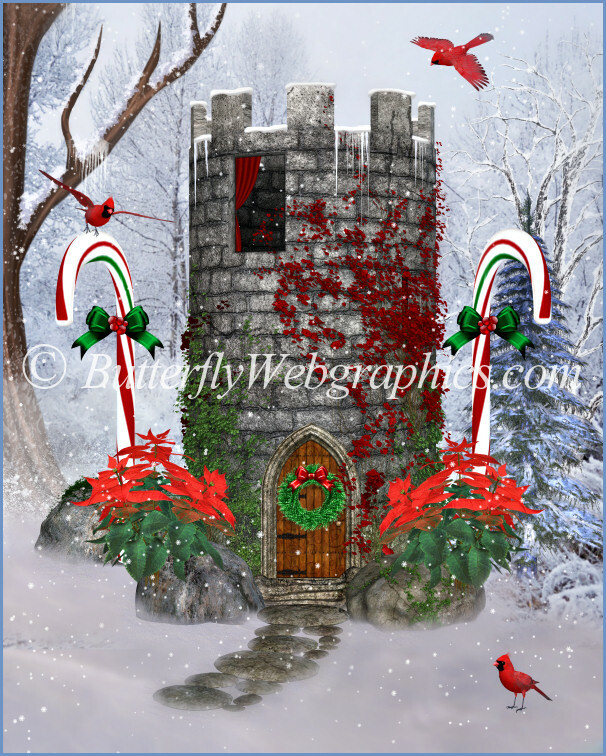 Christmas Fairy Tale Tower Graphics, a holiday addition to my Fairy Tale Towers. 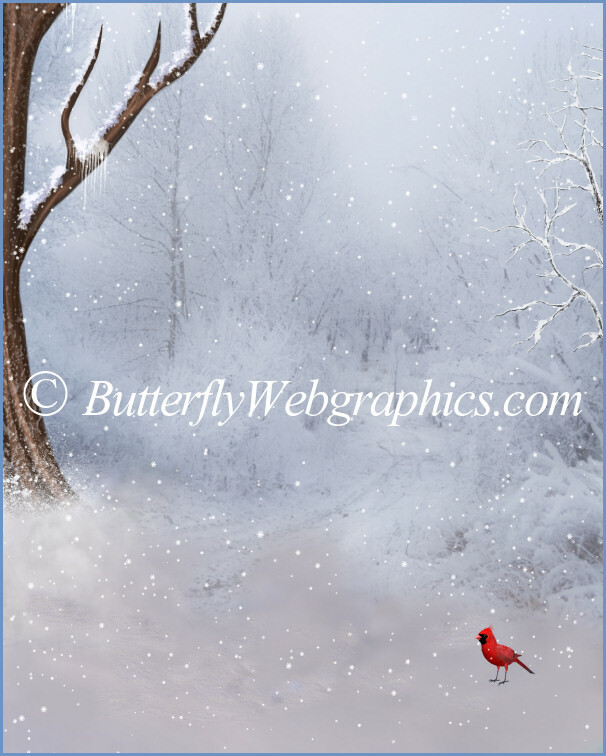 This package has three finished winter backgrounds for your designs. Use them with the Fairy tale towers or for countless other projects. It comes with the tower in the first promo images, which has icicles and a Christmas wreath. 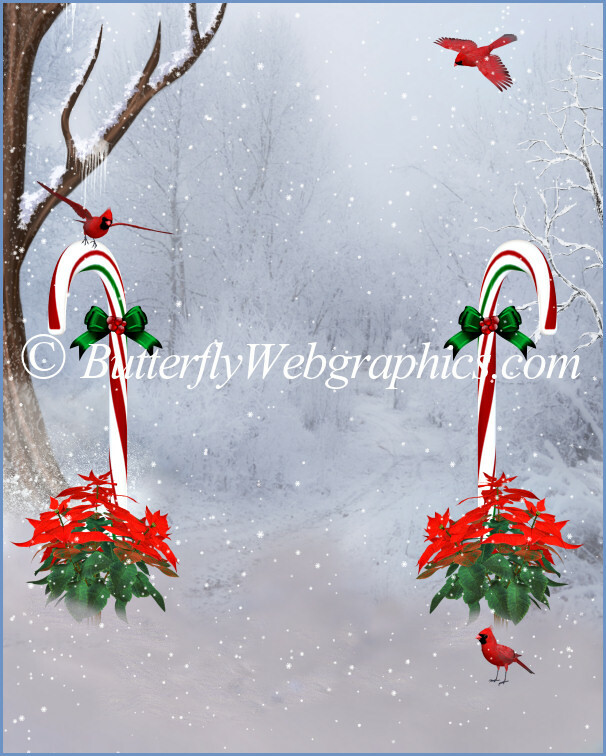 The candy cane with a bow is included along with the cardinal seamless tile I used on this page. The cardinals are from my cardinal package. You can easily build a beautiful winter scene with these images. The background scenes are approximately 2400 X 3000 pixels. All are 300 DPI, making them great for print projects. These graphics can be used for all kinds of personal or commercial projects, including web design, template design, candy wrappers, scrapbook designs, and more. Read my terms to learn more. This package is one zip file, which is about 45 MB.